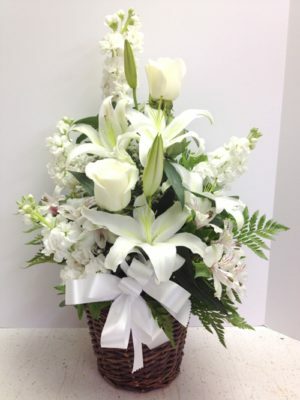 Fragrant white stock and beautiful white lilies are accented with white roses to create this tasteful, sincere and thoughtful white serenity basket of flowers. 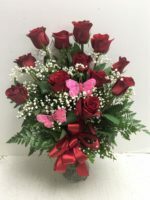 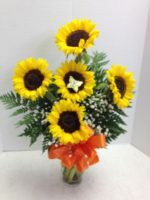 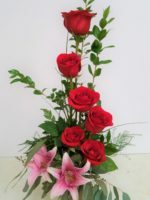 Perfect for a funeral service or for the family to take home, this conveys your most sincere condolences and affection at this difficult time. 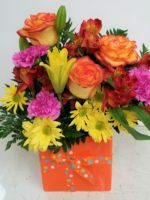 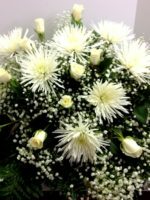 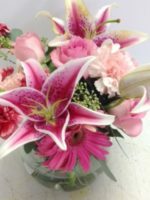 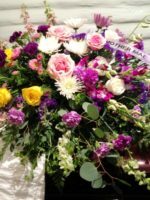 Flowers are always appropriate at a funeral service, even if the obituary requests “in lieu of”, because it is important that the family know you are thinking of them at this difficult time. 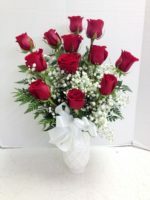 You might prefer this stunning white floral arrangement or a beautiful white floral wreath.